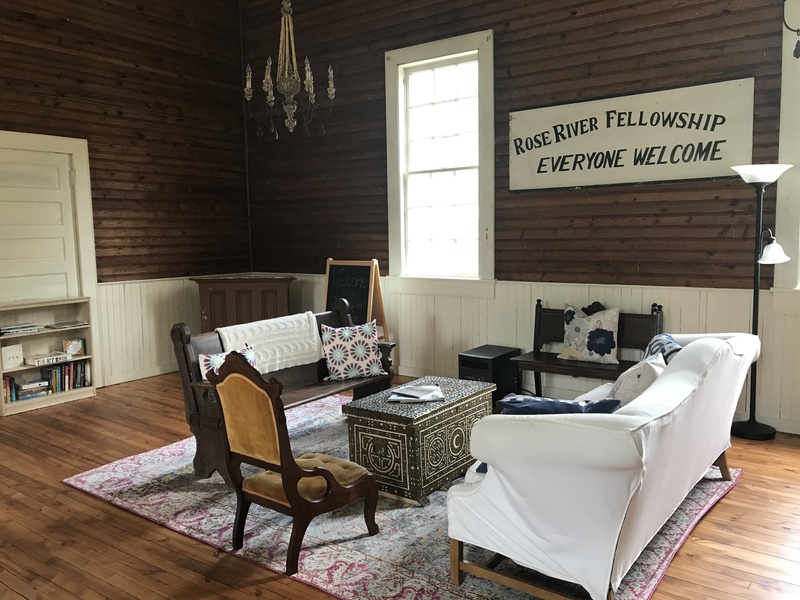 Unplug and relax at The Old Church Cottage in Syria, Virginia. Whether you are here to explore with family or enjoy a weekend with friends…this is the cottage for you. Stay within a mile of Graves Mountain Lodge and within a few miles of two of Virginia’s most popular hikes, White Oak Canyon and Old Rag. Additionally, DuCard Winery is 3 miles northeast, Bald Top Brewery is 11 miles south and Early Mountain Vineyard is 13 miles south. Graves Mountain Lodge is just a short walk down the street for those looking for festivals, horseback riding, and hayrides. Restaurants and shopping are both readily available in nearby towns. The Old Church Cottage was built around 1900 to welcome Mennonites to prayer. Now, it boasts a quaint charm that will bring a relaxing vibe to your stay. The modern kitchen, farm house decor and family-friendly touches will make everyone feel recharged after a few days of relaxation.